Jeb Bush took another step toward a 2016 presidential run Tuesday, announcing the launch of a committee that will allow him to raise cash ahead of a formal campaign. In a video posted to his Facebook page, the former Florida governor said that he is creating the "Right to Rise" PAC to "support candidates that believe in conservative principals to allow all Americans to rise up." The page shows two versions of a short clip of Bush walking down the street as he speaks into a camera, one with him speaking in English and one in Spanish. NBC News confirmed that the Federal Election Commission received paperwork forming a Right to Rise PAC and Right to Rise Super PAC. An aide to Bush told the Associated Press he could use the committee to hire staff, conduct polling and pay for travel as he courts key donors and Republican officials. Bush, whose brother and father both served as president, announced last month that he plans to "actively explore" a 2016 White House run. He has since resigned all positions he held on private and nonprofit boards, a move his spokesperson called "a natural next step." 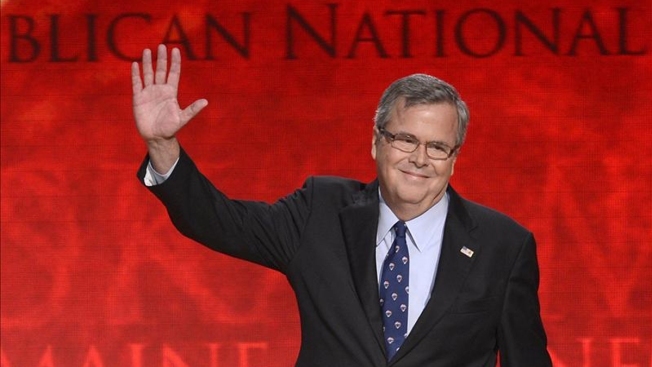 Bush plans to hit the fundraising circuit this week, with an event in Greenwich, Connecticut, NBC News reported.